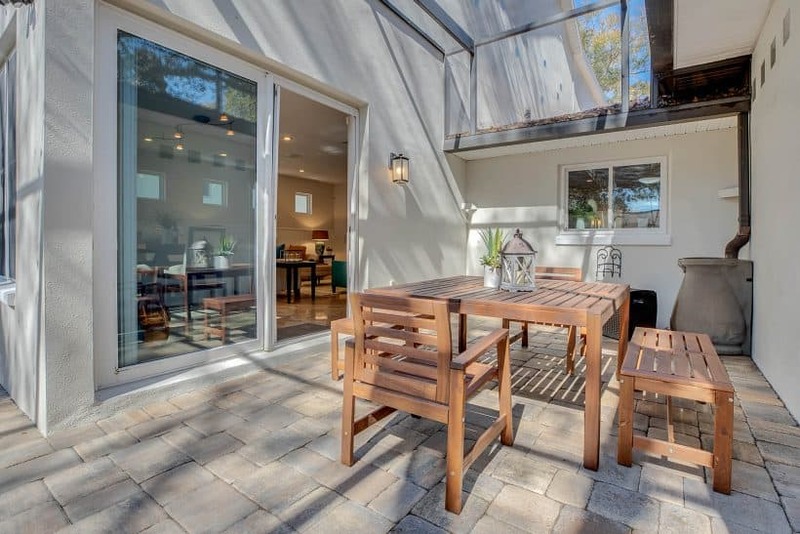 Located in Sunset Park, the modern, custom pool home is a showstopper. 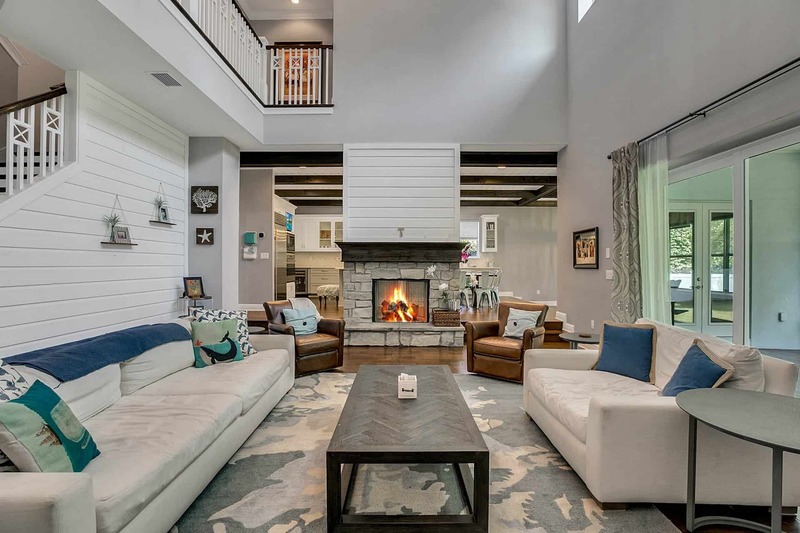 There’s nothing like a home chosen by an architect to live in, and one of my exciting recent listings is the current residence of the commercial architects who have designed clubhouses for some of West Florida’s premier developers. Deeply embedded in the Tampa Bay community, Hiatt Architecture also designed the U.S. Coast Guard facility on Davis Island as well as the Trinity YMCA in Pasco County. The firm’s principal is David Hiatt who completed his undergrad work at the University of Florida and his master’s degree at the University of South Florida. 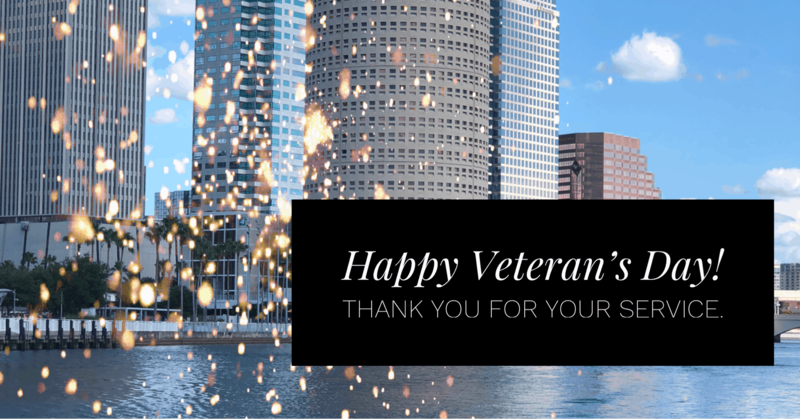 After many years working for some of the area’s more prominent firms he set out on his own in 1999 and remains dedicated to his Tampa practice today. At home, architects are like the rest of us in their craving for convenience, comfort and livability, and if something in the home is not working, they know how to change it for the better! The original home was built in 1960, followed by a major renovation and expansion in 2007. This involved adding 3,000 square feet to the home designed by wife Jacqui. She specified that it be entirely of reinforced concrete block! Bespeaking an almost unheard-of level of quality (most homes are done in simple wood framing at the second level), the concrete work extended to the second floor, and the expansion resulted in more than 4,600 square feet of conditioned space with an oversized garage on a manicured lot. Inside, this modern home has clean lines with long hallways featuring glistening travertine marble floors, sophisticated angles and a stately staircase. If you’ve always wanted to live in South Tampa, this Sunset Park executive home could be the address for you. Melrose Avenue is near a number of landmark byways: South Manhattan Avenue, Henderson Boulevard and West Estrella Street. 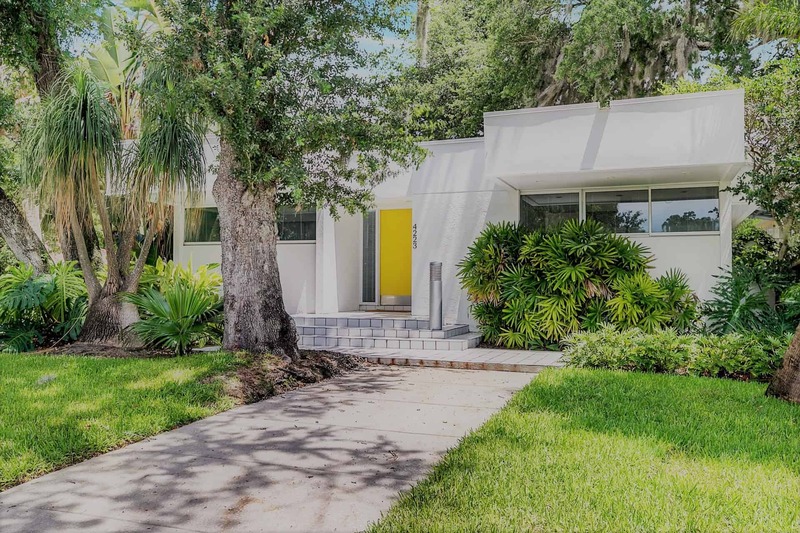 The home is at the center of four points: Palma Ceia West, Beach Park, Stoney Point and Culbreath Bayou. 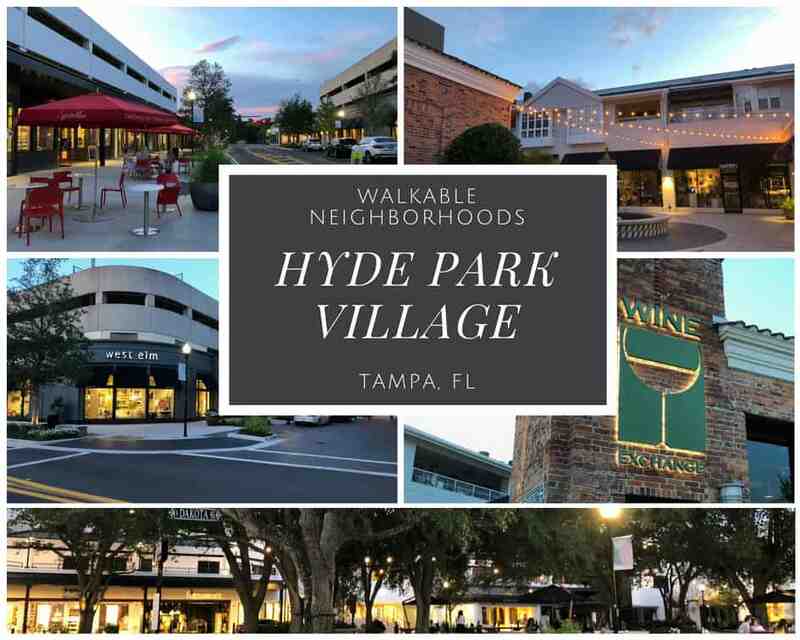 Fabulous restaurant meals are minutes away, as is downtown Tampa via the Crosstown, with the home also convenient to downtown St. Petersburg, the Howard Frankland and Gandy bridges, and Tampa International Airport. Though conveniently near sparkling bay waters, the home is not in a flood zone. The school situation could hardly be better as well, with the home positioned at the heart of an A+ school district including Plant High, with St. Mary’s Episcopal, Coleman Middle School and Coleman Track & Field close by. 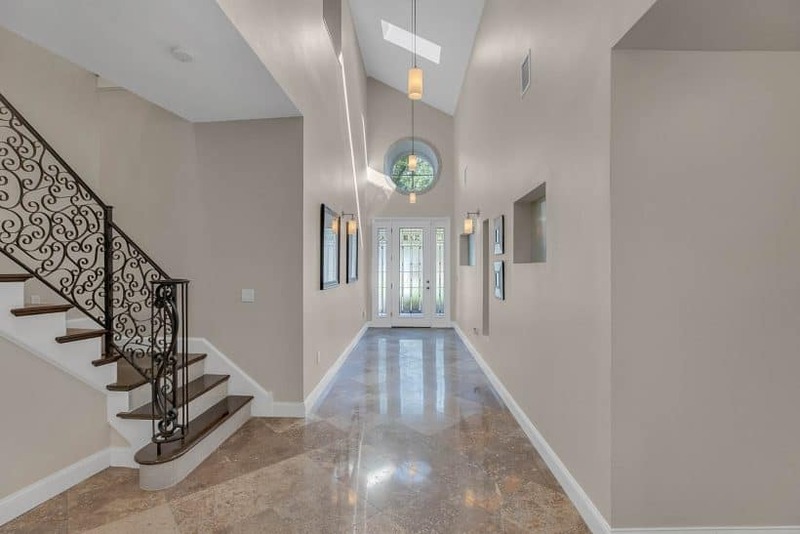 The home’s stateliness is apparent the moment you walk in the front door and traverse the dramatic, elegant foyer with its skylights and 18-foot ceilings. Three bedrooms sharing two full and a half bath are situated downstairs, along with an expansive kitchen, dining room leading to a coffee deck and formal living room with a wood-burning fireplace as its focal point. The family/media room is also on the first floor, convenient to the garage, laundry and another full bath and with direct access to the shade court and pool deck. 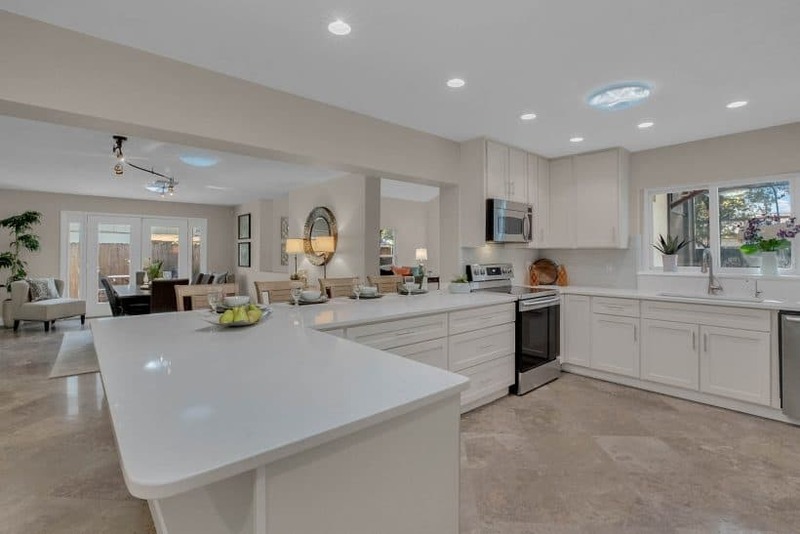 The kitchen is newly remodeled with LED cabinet underlighting, white Cortina quartz countertops and a built-in wine fridge. The backsplash is chic glass tile, and the Kraftmaid cabinets are Shaker style. Appliances include Bosch stainless-steel dishwasher, GE Profile stainless-steel microwave and refrigerator, and Samsung glass-top range/convection oven. Upstairs are a bonus room and a fourth bedroom with a full bath, with the showpiece being the master bedroom suite. 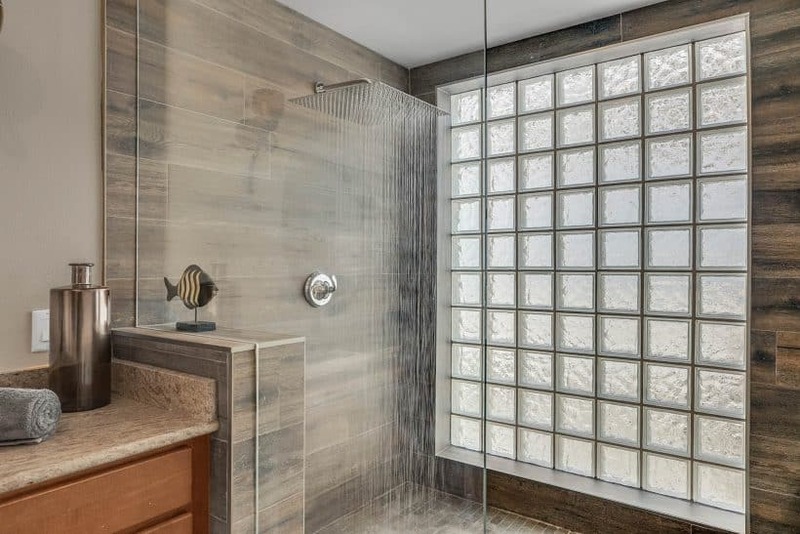 Its assets include a generous walk-in closet, Jacuzzi jetted tub, and a newly remodeled modern shower featuring a 20-inch rainfall shower head. Countertops are granite with dual sinks. The upstairs provides a unique pass-through overlook to the foyer below. Other features of note are 430 square feet of walk-in/stand-up attic space, hardwood flooring upstairs, new paint inside and out, downstairs AC unit replaced in 2016. If this home tickles your fancy (and how could it not?) please give me a shout! Seller will carry home warranty policy that will transfer to the buyer, covering the first year of ownership at platinum level (the highest) from Select Home Warranty (or comparable company) to include pool and spa coverage.